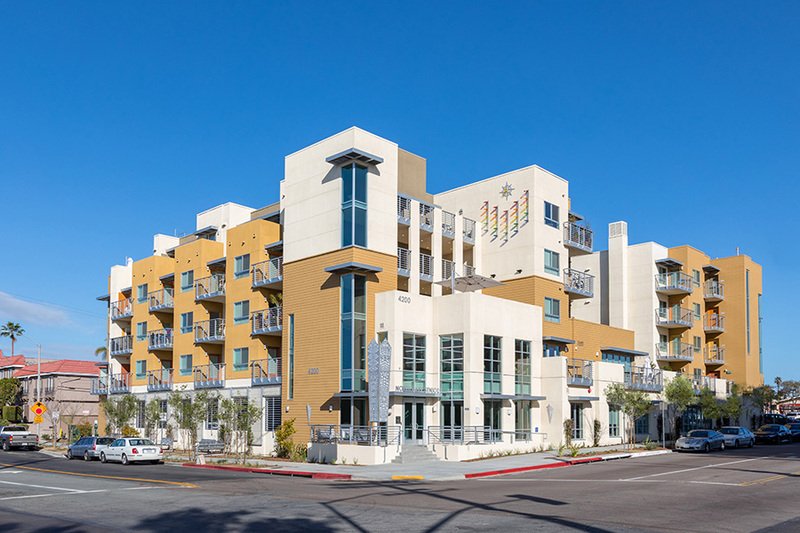 North Park Seniors offers 76 apartments at San Diego’s first LGBT-affirming affordable senior complex – at its completion, one of a handful across the country. Open to all, North Park Seniors provides an affirming and supportive community. 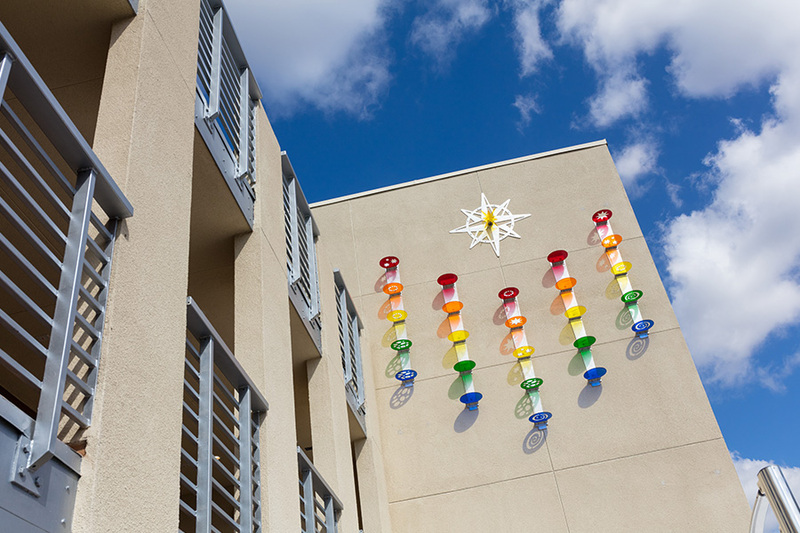 The San Diego LGBT Community Center (The Center) provides supportive services to all residents and worked for a decade with CHW to gain support and funding for the complex. 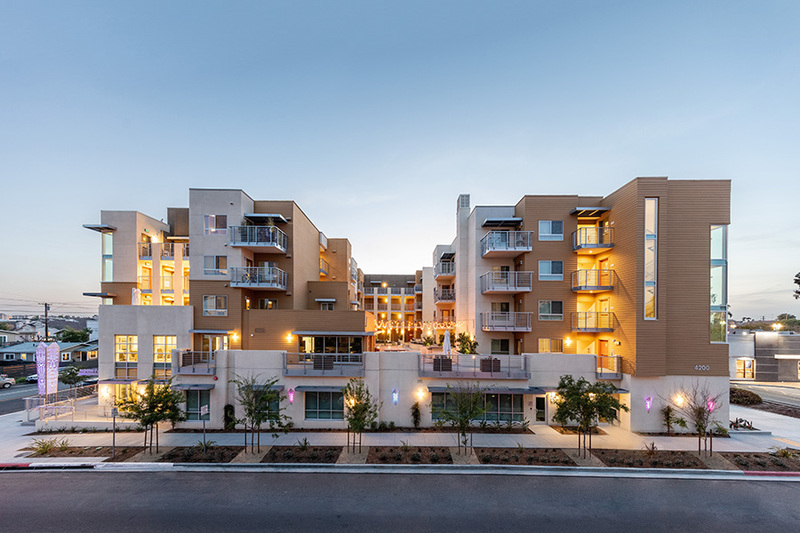 CHW designed and entitled North Park Seniors as the affordable portion of a 194 unit, transit-oriented, mixed-income development. 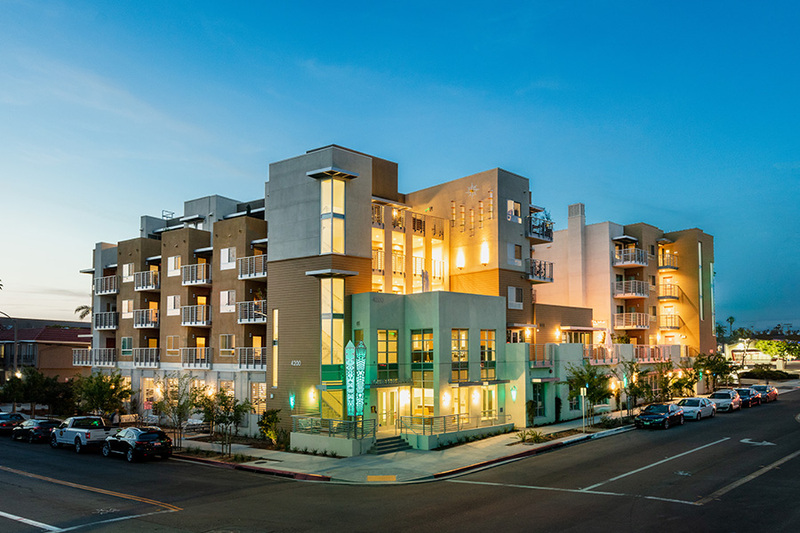 CHW engaged a major residential developer to build out the 118 market-rate portion. 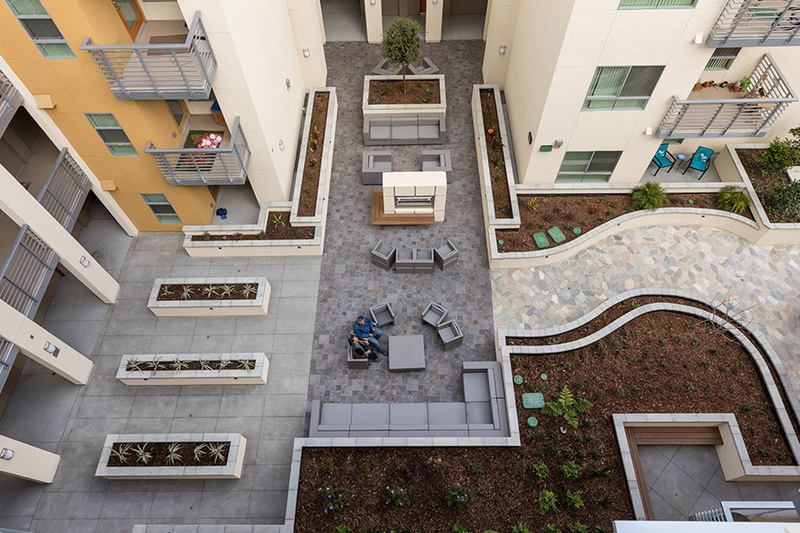 CHW’s creative interpretation of density bonus incentives created more affordable apartments on the combined site, an interpretation that was later adopted into local law.